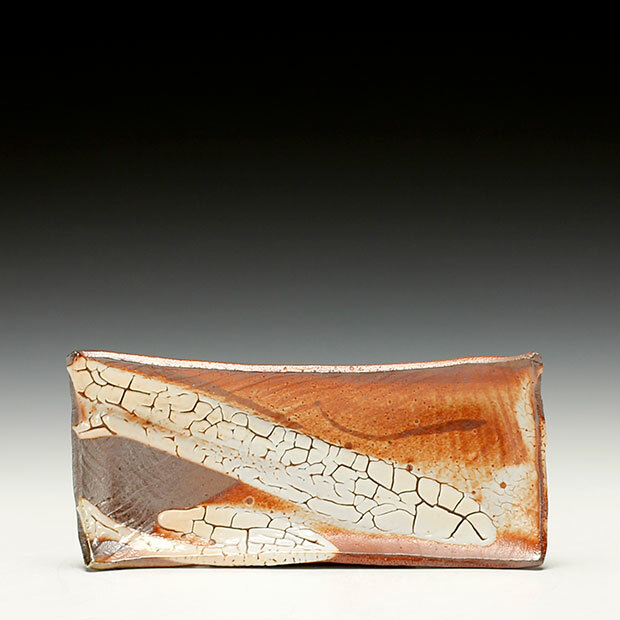 Wood fired with poured shino glaze. Born in Germany I was first introduced to Pottery in 1977 at the Golden Bridge Pottery run by Ray and Debra Meeker in Pondicherry, India . I worked or rather played there for 3 month. Mostly I was just given a few balls of clay and shown to an old kick wheel under a mango tree and told to just get on with it. More structured learning followed on my return to Germany at the studio of Gisela Fattorini, a canadian potter working in the southern Baveria. After a year at her studio I moved to Munich to study graphic design, started a family and moved to New Zealand. I rediscovered pottery in 1998 after my youngest child started school, first taking lessons at Auckland Studio Potters and then studying towards a Diploma in Ceramic Art at the Otago Polytechnic which I completed in 2007. My focus has been on making functional ware that can be used in everyday life. I aim to make work that is beautiful to look at, feels good in the hand and is pleasant to use. I think functional wares should be made with their purpose in mind, a vase should enhance the beauty of the flowers, not compete with it, and a bowl or plate should compliment the food served in it. But for me a tea bowl is probably the most fascinating and intriguing thing to make, an object of contemplation combining functional and sculptural elements. A tea bowl allows for the greatest artistic freedom within the confines of strict rules. It has to be well made and well balanced, not too heavy, not too light and to feel good in the hand. It has to be pleasant to touch and to use. But one of the most important aspects of a tea bowl is the foot of the bowl. Not only should it match the style of the bowl but it is also a reflection of the character of the potter, almost like a signature. And a tea bowl has to provide interest for the eye, to show the clay body it is made of, the touch of the potters hand, the glaze and the effects of the firing process. All this provides a challenge that in my opinion no other item of pottery can match. 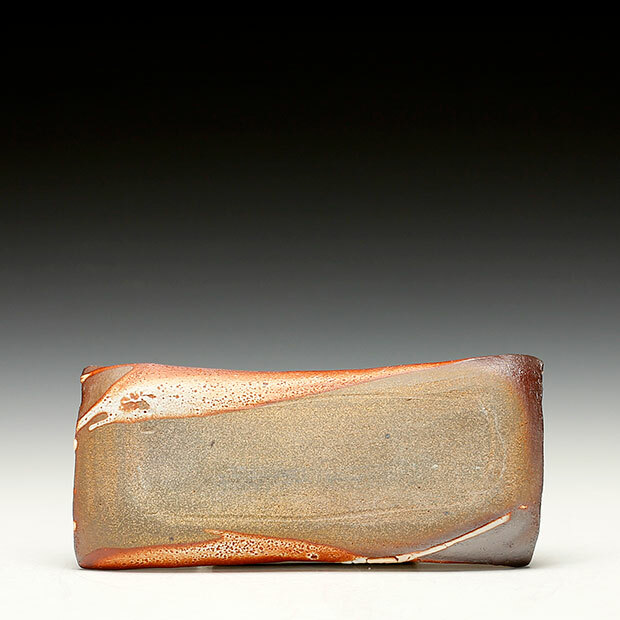 My pots are loosely thrown on the wheel or faceted and hand carved using various types of stoneware clay. Often they are slightly deformed to fit more comfortably into the hand of the user. 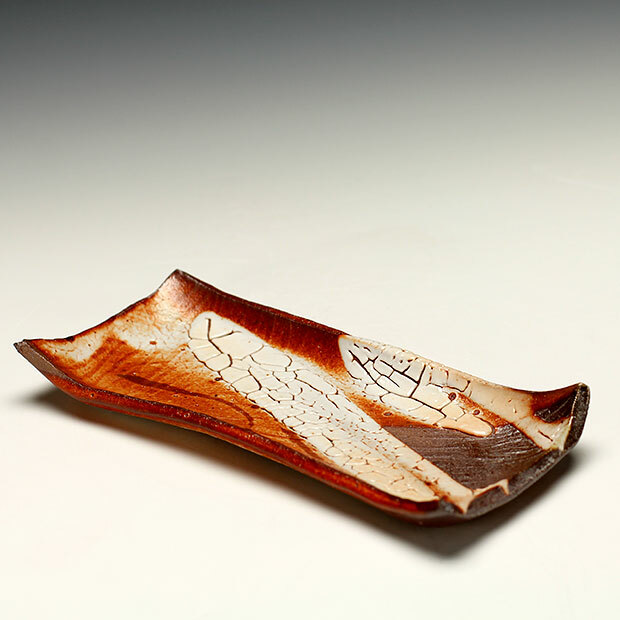 They are then decorated with various ash or iron slips and partially glazed in quick, gestural movements. They are fired in my wood or gas kiln for 12 to 18 hours to 1300C, the effects of fire and flame.adding another dimension to the surfaces of my pots. My aim is not perfection, on the contrary, my belief is that imperfections make the bowls come alive, make them easier to relate to, make them more human. Nature’s perfection lies within its own asymmetry.